Heating, Ventilation and Air Conditioning systems (HVAC) make up an important functional part of any household or building. These mechanical systems are used to heat, cool and ventilate your home or building during the different seasons of the year to maintain a level of comfort. 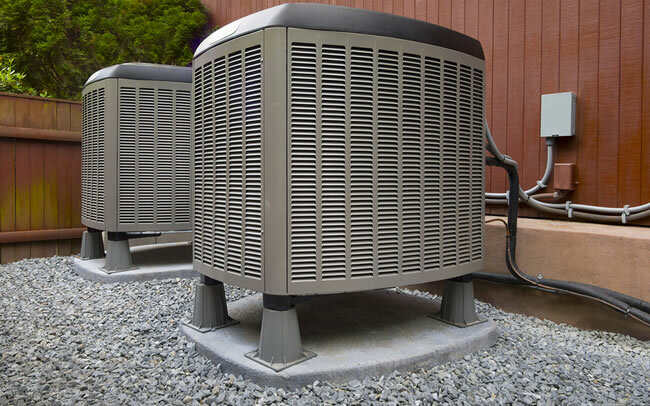 When your HVAC system is running poorly, or is old and inefficient it ends up costing you a lot more in energy bills as the equipment continually draws electricity trying to keep up. A1 Electrical HVAC LLC is a full service and licensed HVAC contractor based out of Durham, NC. We specialize in home heating systems, air conditioning systems, ventilation systems and even refrigeration systems. From inspections, to repairs, replacements and new installations our highly trained and licensed technicians will be able to help you. The Heating, Ventilation and Air Conditioning system in your home or building is prone to wear and tear. Dust, dirt and other airborne contaminants can clog filters and gum up moving parts. If your systems aren’t maintained correctly they will be wasting energy and not performing to their full potential. Our well trained service technicians can provide routine repairs and maintenance for both commercial and residential HVAC systems. From office buildings, to apartments to single family homes we’ll be able to come up with a regular maintenance program to keep your HVAC system in top shape. If your furnace, boiler or air conditioning unit is old then it’s probably also very inefficient by today’s more modern energy efficient standards. Depending on the particular HVAC systems you have in your home or building upgrading or retrofitting them can improve their efficiency substantially. A more efficient furnace or air conditioner means you’ll spend less money on heating or cooling your home. William D. Taylor HVAC specializes in replacements and new construction installs of HVAC systems. With some simple efficiency testing methods we can quickly tell you what improvements or upgrades will make the most difference in your particular home or building.